Our people value our professionalism and empowerment and we enable this through having better conversations. 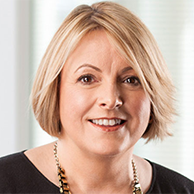 Hear Jane Hobbs, Ciena’s Chief People Officer, describe better conversations throughout Ciena that allow our people to grow and develop to reach their full potential while empowering them to make the right decisions. It also creates alignment with their goals and performance feedback.